Aamir Khan Gives The Mahurat Clap For Total Dhamaal! Aamir Khan who has worked with renowned filmmaker Indra Kumar for multiple box office hits, gave the mahurat clap for the much awaited comic caper Total Dhamaal!! The shooting of Total Dhamaal commenced today in Mumbai and Aamir graced the shoot with his presence for the very first day! 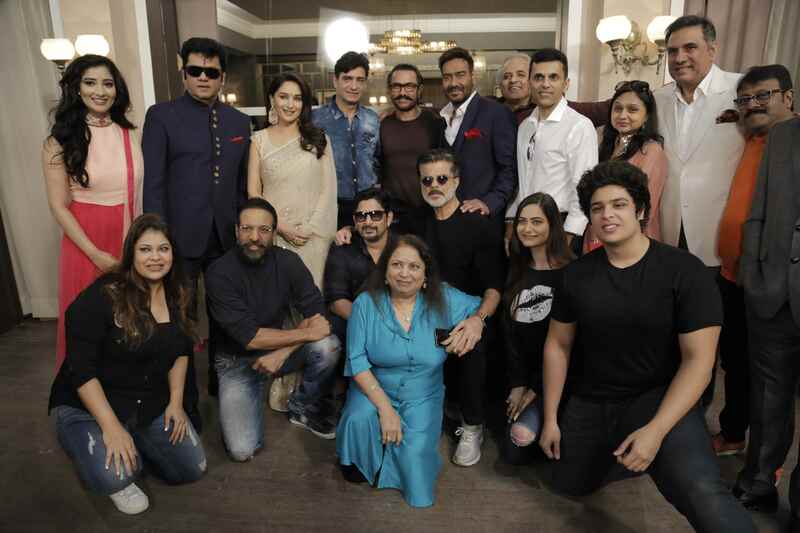 While Anil Kapoor directed the shot and director Indra Kumar assisted him, Madhuri Dixit switched on the camera and the mahurat shot took place with the presence of everyone including Ajay Devgn, Arshad Warsi, Boman Irani, Javed Jaffery and Sanjay Mishra. The hugely awaited laugh riot also has a casting coup with the hit duo Anil Kapoor and Madhuri Dixit joining Ajay Devgn in the film. Total Dhamaal will also see the return of the comic gang of Riteish Deshmukh, Arshad Warsi and Javed Jaffrey along with Boman Irani.